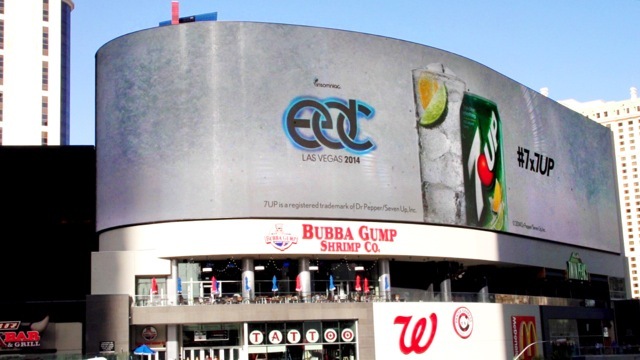 7UP DOOH – EDC | Abel Diaz, Digitized. Live capture at Harmon corner, Las Vegas, Nevada. 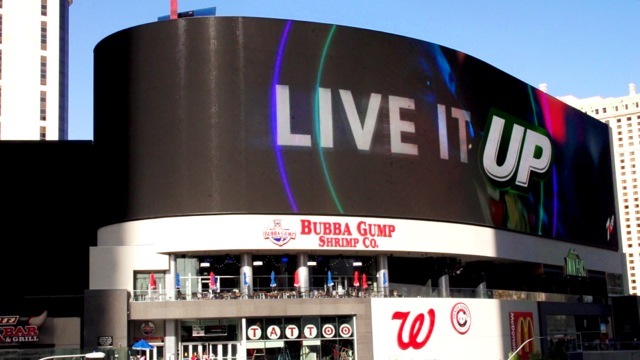 At an impressive 306 feet wide and 60 feet high and located in the Las Vegas strip, the Harmon Corner digital screen is one of the world’s largest full motion LED screens. A great space that commands attention. For more info, see here.